We bring in technical elites from Japan, Taiwan, Singapore and China and have built up leading and complete international R&D team covering the optics, machinery, test, process and etc. We concentrate on the R&D and manufacturing of high speed optical devices such as 10G/40G/100G/200G/400G PIN and AON interfaces. Advanced ERP/MES/MRP system runs through the whole production process. Flexible production line for small batch and multiple product production. Lean production and continuous improvement to reduce the production cost. Complete quality guarantee system and entire the analysis and test equipment. We comply with the international and industrial standards and have complete enterprise standard. 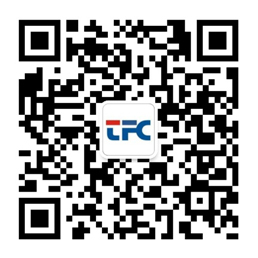 TFC has strong equipment process and engineering capacity. Therefore our product is of good discreteness, high uniformity and reliability. We vertically integrate the industry chain from raw material forming, parts processing, finished products assembly to whole process in-factory production. We can efficiently control the product cost and improve quality control so as to provide higher cost-effective product for customers. TFC works to thoroughly comprehend customer’s requirement and has accumulated recognition of world class customers in the industry through 12 years of hard work.